The subject property is located about 4 km opposite Sabah Tea. The subject property still has some big trees with trunk about the size of oil drums. Suitable for resort. Seen here are photographs taken with cellphones. The waterfall is about 3-storey high and is inside the subject property. Another view of the subject property. 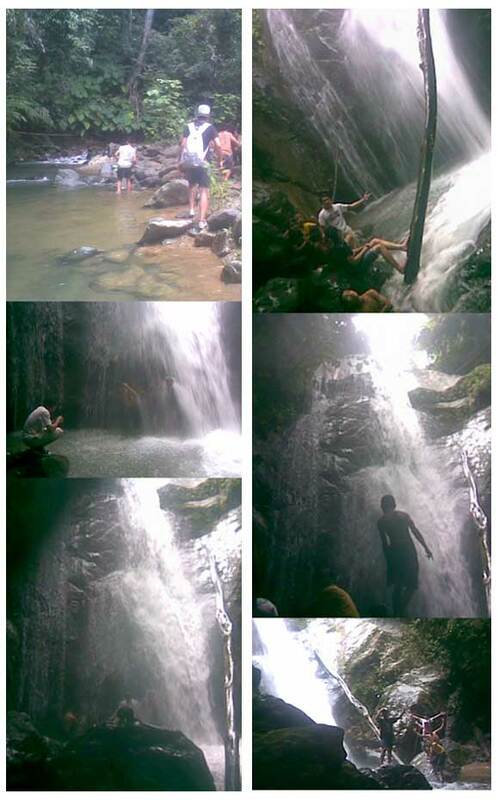 This time the boys are climbing up to the middle section of the waterfall. 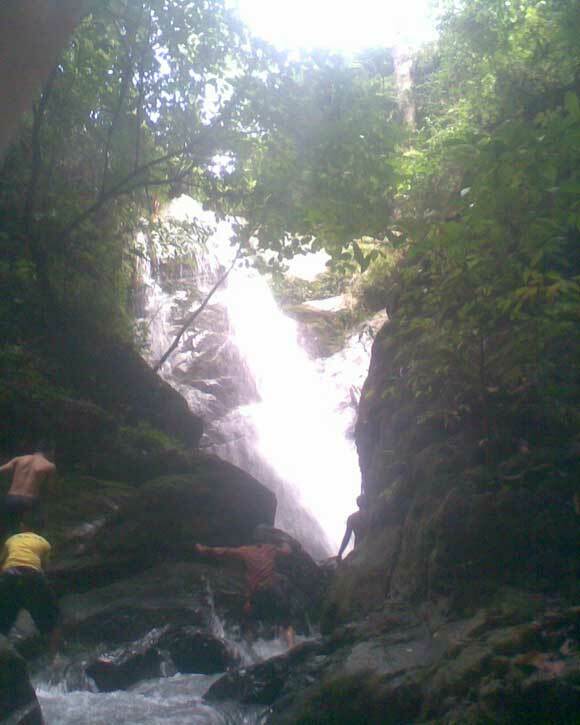 The weather here is cooling and suitable for use as a hill resort as the waterfall is inside the land. The balance of the land is suitable for planting tea just like in Cameron Highlands, Malaysia. (Potential clients are advised to independently confirm whether the waterfalls are inside the subject property).